Quality is of extreme significant in our work culture and all business functioning. Our company has acquired strict criteria to guarantee use of only quality materials for our products and the quality is strictly checked at all different levels of production and supply. The quality control checks are taken in charge by experienced professionals from within the industry. Quality is a foremost concern for any organization. Registered under Indian Companies Act 1956, we work in coordination to offer high grade range of Gas Plants. To maintain total quality in our products, we have employed highly experienced quality controller. Our quality controllers carefully monitor the entire process, right from testing of basic material to designing, production and final delivery of finished product. 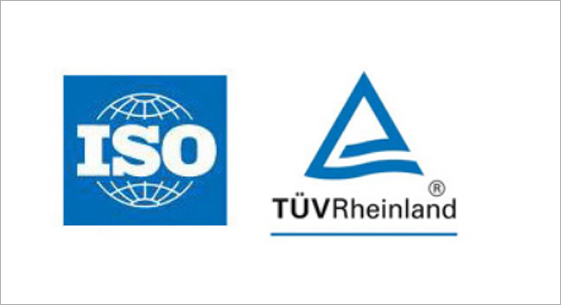 We make sure that these gas plants conform to the international quality standards. With these quality parameters, we assure our clients that our plants have high operational efficiency. Further, we offer on-site maintenance customer support to our clients. This standard certifies that consistent business processes are being applied throughout the company. We have state-of-the-art products, services, processes, materials and systems, and managerial as well as organisational practices. 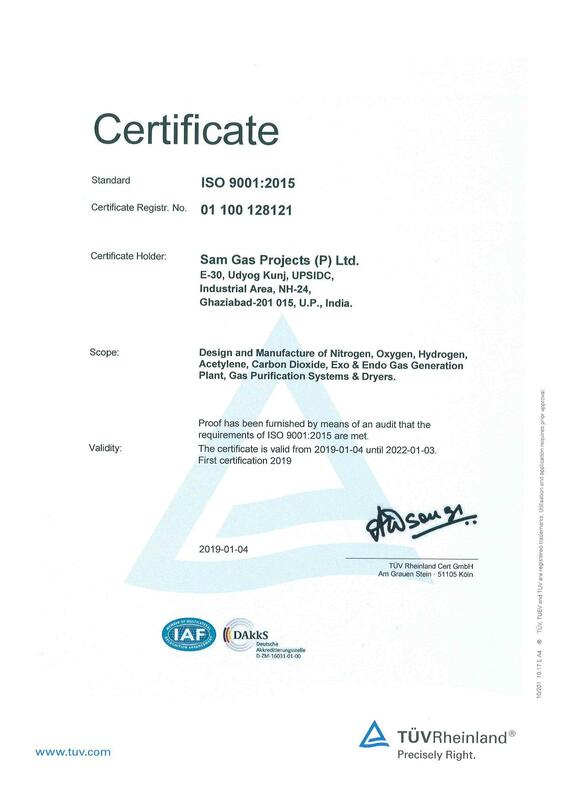 We have been successfully assessed against ISO 9001:2015 standards. A team of quality control experts serves us in directing stringent checks, ensuring that the products match up to the accurate stipulation and demands of our customers. Our nitrogen plants are safe and economical with an effective generation arrangement which cuts down power ingestion and adds on to safety. All our product development and design criteria are supervised by our team of highly qualified and experienced technologists. We are unrelentingly working for modernizing equipment that actualize highest possible energy optimization and preservation.